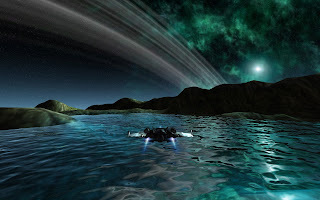 If you would like more information about the event, you can get the most up-to-date information on the ManiaPlanet forums. Prelims take place Saturday 21 January 2012 online, starting at 8pm Eastern. Semifinals will take place 04 February 2012 online, time to be determined. Finals will take place 10 March 2012 in Cincinnati, Ohio at the A&G 2012 LAN Event; time to be determined. Best of luck to all the competitors; we'll see you at the races! 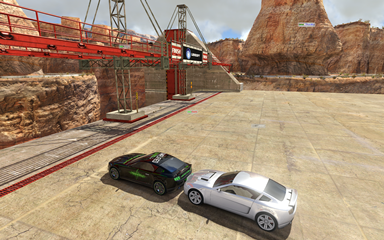 Thanks to my good friend eyebo for pointing out this excellent video he made of NitroGuY's December 2011 freestyle run on "Flatland Yards" by TimaE in TrackMania 2 Canyon. If only I could have that much control over my car. Mad skills, Nitro. MAD skills! And to rub salt in the wound of my newbness even more, Nitro plays with the keyboard! And an extra shout-out for eyebo's excellent MediaTracker prowess. Well done on a high-quality video. Now, for the rest of you FNGers, we'll have to track down some of these freestyle maps and give them a go. I know SpeedMonger and I both enjoyed stunts mode in United Forever, and the prospect of playing stunt mode without a timer makes me giddy. We'll have to try it out soon after the A&G tournament. Evochron Mercenary - The next evolution of Freelancer? My Steam news feed informed me today about the release of an Indie space-based action-RPG called Evochron Mercenary. I watched the trailer video and it looked like what I would imagine a Freelancer sequel would look like. If the entire universe looks like this... count me in. A few of the Friday Night Gamers started playing Freelancer back in the day for a couple of months and had a ball with it. I would love to see how this one is. Like Freelancer, you explore the universe, take on various kinds of missions (both with and without combat), do trading, etc. to enable you to upgrade your aircraft and equipment, letting you further explore new places. I can't afford it yet, but I've got my eye on it for when I can... I'd love to hear from those that already own and play it how much you enjoy it or not. Please feel free to leave some comments and let us know if it would be a good game to add to the FNG arsenal. Also, FNGers, please chime in and let me know if you'd like to see this as one of the games we play as a group. The finals will be held on 10 March 2012, live at the Animation & Gaming Ohio expo. Read the A&G Ohio's TrackMania 2 Tournament Rules and Regulations for full details, including any future updates. The name may be changed to something similar -- we do that when we're testing mock tournaments there. 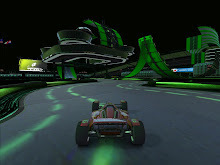 Click the link above to launch TrackMania and automatically join the server. Mark this server in your favorites, as it will be the server we play the preliminaries on. so I can get it running again. You may also download the prelims pack to practice on your own at home.